What’s the Safest Way to Get a Tan? I’m so diligent about my sunscreen these days that my skin now, in July, is still the same light beige color that it was this winter. But if you yearn for that sun-kissed glow, you’re probably wondering what is the best way to get a tan—and whether any method is truly safe. I roll my eyes whenever I hear that such-and-such food additive is linked to cancer, because usually the risk is infinitesimal. But sunlight is strongly linked to cancer, and skin cancer is the most common cancer in America. There’s no way to get a tan from the sun without exposing yourself to UVA and UVB rays, so you’re best off using sunscreen when you can. Once you have a tan, that protects you a bit from further exposure, but only a little: a tan is equivalent to about SPF 4 sunscreen, although to be fair, SPF 15 sunscreen also works out to about SPF 4 protection when you apply it thinly (the way most of us do). Indoor tanning, with UV-emitting light bulbs, is supposed to be a little bit safer than lying out in the sun. The difference is minimal, though. Indoor tanning equipment is considered a carcinogen by both the US and by the World Health Organization, and its use is estimated to be responsible for an estimated 400,000 cases of skin cancer in the US each year. Tanning beds only use low levels of sunburn-causing UVB, but they give you a huge dose of UVA light. That can cause tanning, but it also contributes to cancer and to the aging, wrinkling, skin-thickening effects of the sun. So you may look good in the short term, but you’re only making matters worse for future you. Spray tans and sunless tanning lotions are your best bet if you must have a tan. They don’t damage your skin like the sun does, and they haven’t been linked to skin cancer. They contain a sugar-like molecule called dihydroxyacetone (DHA) that reacts with the proteins in your skin to create a brownish color. There are different formulations of sunless tanners, including some that are “DHA-free” but work in a similar way. The color they produce on your skin isn’t a true tan; it just looks like one. It doesn’t provide any significant protection from further sun exposure, so you’ll still need to use plenty of sunscreen. There are still some unknowns about the safety of sunless tanners, but there’s no evidence that they’re worse for you than the actual cancer-causing sun, so keep things in perspective. So here are the unknowns. We don’t know if it’s safe to inhale the spray in a tanning booth, or to let it contact mucous membranes like the areas in your mouth and eyes. For now, it’s best to use nose plugs, lip balm, and goggles while you get a spray tan. (Check with the tanning facility; they’ll probably supply these.) Or you can use a sunless tanning lotion to get the same look at home, as long as you’re confident you can rub it in evenly. There’s also some speculation about whether DHA can damage the DNA in your skin, but to date there’s no clear evidence that it poses risks to real life humans in real life tanning doses. Chances are, even if that turns out to be true, it’s likely to be a much smaller risk than the risk you take by stepping outside sans sunscreen. The explosion of online content and people’s changing internet habits ultimately led to the site’s demise — ironically at a time when we need something as simple and unfiltered as Stumbleupon the most. “Stumbleupon pioneered content discovery on the web, before the concepts of the ‘like button’, ‘news feed’ or ‘social media’ were mainstream,” wrote Stumbleupon cofounder Garrett Camp on Medium in May. This is unfortunately a task that people are still grappling with, but now without the training wheels of Stumbleupon to better guide us through the weird, confusing thing that is the internet, we’re faced with a barrage of content shared by noisy, angry users. I was shocked to learn about Stumbleupon’s closure. Sure, I wouldn’t use it for months at a time, but it was always there for me. It was like that high school friend you don’t talk with for months at a time, but you can pick up the friendship right where it left off. Peak™ online content now is some snarky one-liner on Twitter to accompany an article. It’s a Facebook friend regurgitating a jargon-filled rant preceding a link bearing bad news. It’s a conspiracy theory comment that beckons Redditors to learn more. They all involve networks of people filtering information and molding how it’s presented to you. The Wall Street Journal even created a platform this year called NewsPicks, which it calls a “curation and commenting app” that relies on people commenting on articles. It taught people like myself the internet’s wide-ranging beauty simply by presenting websites in their pure forms. The only bit of outside influence was the amount of people who liked the content, and it was nonplussed by the advent of commenting and liking and reacting. If you didn’t like the content, you could hit a thumbs-down button or just click stumble to roll onto a new website — no mean comments were involved, no Twitter fights broke out, and nobody but Stumbleupon needed to know you disliked it. But now there’s no more of Stumbleupon’s pure, unadulterated content. All we have is angst-filled social media with a new monster around every corner. NASA’s Opportunity Mars rover was built to last just 90 Martian sols, or 92 Earth days. But the scrappy machine shocked engineers by lasting far longer than that. The rover is now celebrating 15 years since it first launched from Earth. Opportunity set off for Mars in the dark of night on July 7, 2003. 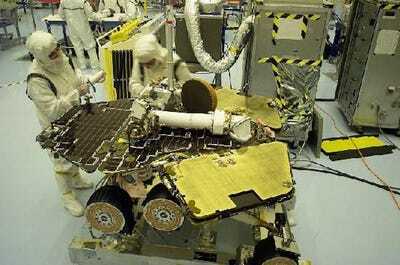 Engineers at NASA never expected the solar-powered machine to weather a Martian winter, but the golf-cart-sized rover has traveled more than 28 miles on the red planet since it landed there on January 25, 2004. Today, the teenager is undergoing one of its toughest tests to date: a global dust storm is covering Mars, making it tough for the rover to capture much-needed solar power, so it has gone into safe mode. In other words, Opportunity is celebrating its record-breaking tenure on the red planet with a nap. NASA plans to try to reconnect with the rover once the storm passes, but on July 3 the space agency reported that it was "still waiting for the dust to settle." Here’s a look back at what the Opportunity rover has accomplished so far on its unlikely journey on Mars. Opportunity was one of two six-wheeled rovers that NASA launched to Mars in 2003. 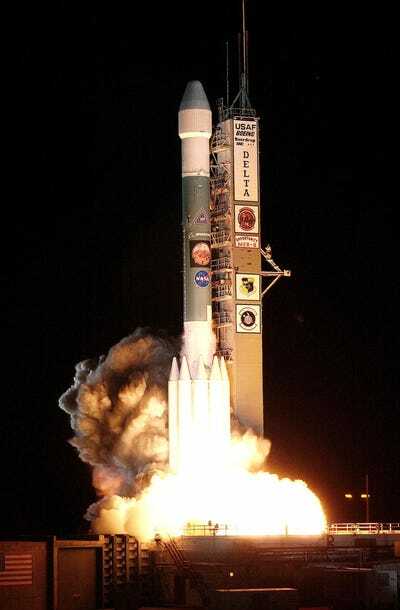 The rover blasted off from Kennedy Space Center at 11:18 p.m. on June 7, 2003. Opportunity’s twin, Spirit, left Earth on June 10 of the same year. Scientists wanted the rovers to help them figure out whether Mars might have once been a place where life could exist. 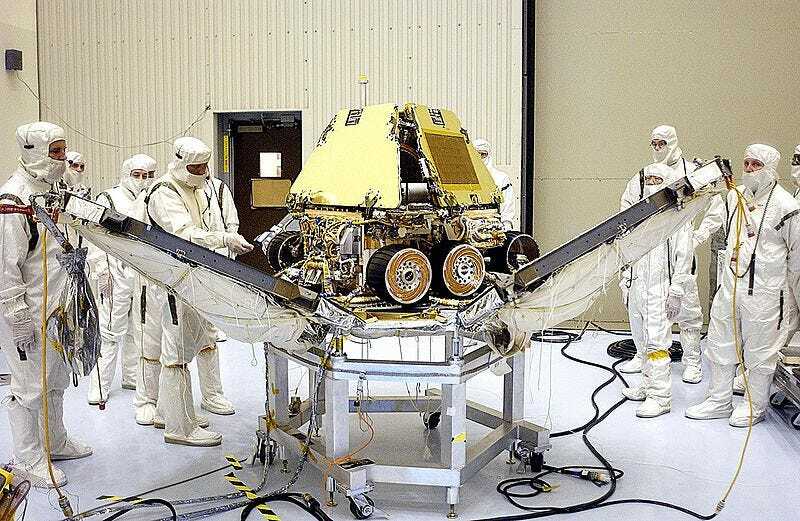 It took the two rovers more than six months to fly the roughly 283 million miles to Mars. 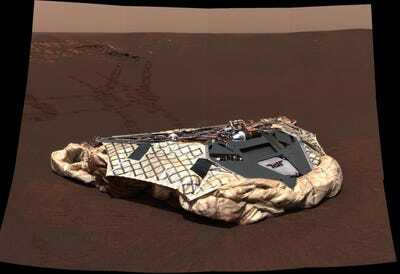 Opportunity arrived on Mars on January 25, 2004, and was drop-bounced onto the ground inside of a kind of heavy-duty bubble wrap. It’s one of those things that make soccer such an intense and nail-biting sport — penalty shootout. But are penalty kicks actually fair and how likely is it that the goalie can successfully block a penalty kick? With the help of statistics and economist, Ignacio Palacios-Huerta, who studied more than 11,000 penalty kicks, we take a look at why penalty shootouts are so unfair to the goalies and what can be done about it. Following is a transcript of the video. Narrator: 0.4 seconds. That’s the time it takes you to blink. It’s also about how long goalkeepers have to save a penalty kick or fail trying. And it’s certainly not enough time for a goalie to react and respond. So goalies can’t solely rely on their speed and agility to save a penalty kick. Instead they have to pretty much guess which direction to go and rely on either luck or game theory. Game theory is a popular strategy in economics where the outcome of a situation relies more on how well you predict your opponent’s actions than how you perform your own. So since the goalie has no choice but to guess, they’re better off guessing logically than randomly. That’s where economists come in. Ignacio Palacios-Huerta: I would like to know what you do in the last 80 penalty kicks you faced? Do you have any tendencies? What does this guy do against right-footed kickers versus left-footed kickers? Narrator: That’s economist Ignacio Palacios-Huerta. He studied over 11,000 penalty kicks, and in 2008 during the UEFA Champions League Final, it paid off, sort of. It was Manchester United against Chelsea. The game came down to a penalty shootout which was the perfect opportunity for Chelsea to put Huerta’s advice into action. Along with several pointers Huerta had given Chelsea’s goalie a key insight about Manchester United star Cristiano Ronaldo. Ronaldo would almost certainly kick the ball to the right if he paused on the run-up. And the advice worked. Ronaldo indeed paused and indeed kicked the ball to the right. Chelsea’s goalie followed Huerta’s advice and made the save. Ultimately Manchester United won the game, but despite Chelsea’s loss, it was clear that economists and statisticians can help even the odds when it comes to penalty kicks. Because otherwise, it’s a crap shoot for the goalie. In 2014 for example, FiveThirtyEight calculated that 72.5% of penalties in World Cup history went in. For all competitions worldwide, it’s even higher. And when you take a closer look, it’s no wonder. Human response time takes roughly 1/10 of a second to kick in. The average kicker kicks a 70 mile per hour ball, which means the goalie won’t even register the ball’s direction until it’s about 25 feet away. It will take him another .5 to .7 seconds to react and reach for the ball, but by that point, it’s all over. Now the goalie can improve the odds if they start to move before the ball is even kicked, but the goalie still has to basically guess a side and just go for it. So if time is the goalie’s enemy, maybe we should just move the penalty kicker further back. But for now, economists are a goalie’s best friend when it comes to stopping penalty kicks, and turns out, Huerta is helping a team in the 2018 World Cup, though he wouldn’t tell us who. A Harvard-led team of scientists has made important progress in the quest to prevent HIV infections. They’ve had early success testing a multi-strain vaccine in humans — everyone who received the drug produced at least some kind of anti-HIV immune response, with at least 80 percent producing more advanced responses. The researchers also found that the same vaccine protected 67 percent of rhesus monkeys against simian-human immunodeficiency virus, which suggests it might be effective against HIV. This doesn’t mean that the group has found an effective vaccine. While the monkey test is encouraging, there need to be more tests to show that the drug could effectively fend off infections in humans. The next step is to test the vaccine with 2,600 women in southern Africa who are at risk of contracting HIV. It’s one of just five vaccines to ever make it that far in testing, but those that have weren’t effective enough to go further. However, there’s a strong incentive for this vaccine to succeed. Unlike past efforts, which only focused on specific HIV strains, this vaccine is a “mosaic” that includes pieces of multiple strains in a bid to create a more universal drug. Should it prove effective, doctors could administer vaccine on a broad scale where past vaccines would have only worked for small populations even if they’d worked well. This is unlikely to represent a catch-all solution, but it might just land a significant blow against HIV if everything goes well.